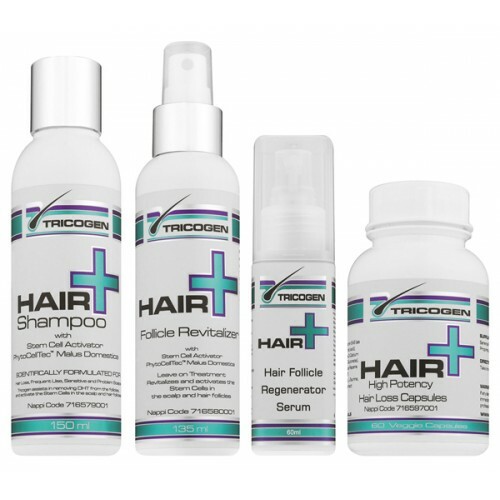 The Tricogen Regenerations Kits resolves the hair loss problem internally as well as extrenally giving you the best chance to stop hair loss and regrow new hair. Amino acids are the building blocks of protein from which hair is created. They are assembled in the correct sequence by stem cells to form keratin a complex and immensely strong hair protein. Vital amino acids have to be replaced consistently as damage is accumulated over time. We can replace a combination of these lost amino acids directly into the hair where they are shown to provide significant tensile benefits to the hair shaft. Many (poly) amino acids joined together form a “polypeptide chain”. Two amino acids are joined together by a “peptide bond”, and the correct number of amino acids placed in their correct order will form a specific protein; i.e. keratin, insulin, collagen and so on. The “alpha helix” is the descriptive term given to the polypeptide chain that forms the keratin protein found in human hair. Its structure is a coiled coil. The amino acids link together to form the coil and there are approximately 3.6 amino acids per turn of the helix (coil). Each amino acid is connected together by a “peptide bond”. The peptide bond is located between the carbon atoms of one amino acid extending to bond with the nitrogen atom of the next amino acid. L-Arginine is a semi-essential amino acid synthesized by the body from L-Ornithine. Arginine + Ornithine support protein synthesis because they are involved in the transport and storage of nitrogen. 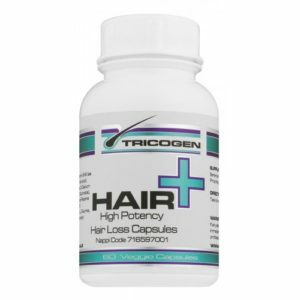 The usage of taurine corrects what is known as the “rigidification” of the connective sheath that surrounds the Pilosebaceous unit and hair follicles specifically those affected by pattern hair loss. This is a novel and previously undisclosed angle on hair loss treatment that has yet to be touched upon in any of the medical literature or prior publications. The amino acid, L-Cysteine speeds up hair growth and increases hair shaft diameter resulting in fuller hair. L-Cysteine has been reported to facilitate longer hair growth beyond what is genetically programmed. L-Cysteine also provides potent antioxidant protection to the hair follicle. Users of topical N-Acetyl-Cysteine have reported hair regrowth. Apple procyanidin polyphenols activate and lengthen the anagen (growth) stage of the follicle cycle, and shorten the telogen (resting) and catagen (shedding) stages. Apple procyanidins inhibit protein kinase C (PKC) and transformational growth factor beta (TGF-b), both identified as factors of follicle shrinking and dysfunction. Apple polyphenols precipitate protein synthesis, essential for muscle growth, hair growth, and immune function. Apple Polyphenols are 300% more effective than Minoxidil. Apple polyphenols reduce oxidative stress, a known factor in follicle aging and dysfunction. Biotin is a member of the B-Vitamin family and a major component in the natural hair manufacturing process it is essential to not only grow new hair, but it also plays a major role in the overall health of skin and nails. The beneficial effects of biotin on hair may be linked to its ability to improve the metabolism of scalp oils. The biotin when absorbed by the scalp may promote hair growth and it is able to penetrate the hair shaft making it expand which actually thickens the hair cuticle. Biotin is used in cell growth, the production of fatty acids metabolism of fats and amino acids. It plays a role in the Krebs cycle which is the process in which energy is released from food. Biotin is often recommended for strengthening hair and nails. Biotin is so important to hair health that many dermatologists prescribe biotin supplements to their patients as part of their medical treatment for hair loss. Active caffeine ingredient helps to regulate the effects of testosterone levels. Male pattern baldness is known to occur in individuals with a sensitivity to testosterone causing damage to hair follicles that eventually leads to baldness. Studies have shown that after caffeine treatment average hair growth was increased by around 46% and the life cycle of the hair was extended by 37%. Caffeine is a xanthine alkaloid compound that acts as a stimulant in humans. Caffeine is a central nervous system (CNS) stimulant, having the effect of warding off drowsiness and restoring alertness. The independent study at the University of Jena used hair samples from the scalps of young men entering into the first stages of hormone-related hair loss. The study relied on a hair organ culture that used four different types of testing samples. The first was a nutrient-based sample the second a testosterone only sample and the third was a caffeine only sample and the fourth a mixture of caffeine and testosterone. According to the research, results showed that the samples containing the caffeine nutrient helped to stave off hair loss and encouraged new hair growth while the sample that relied on testosterone only led to increased hair loss. New studies by the Berlin-based “Charité” university clinic prove the absorption of caffeine by the hair follicles after being left on for a mere 2 minutes. They also show that the caffeine remains detectable up to 24 hours. L-Carnitine a vitamin-like nutrient occurs naturally in the human body and is essential for turning fat into energy. Active energy metabolism is an essential prerequisite for the growth of strong and healthy hair. In biological systems ATP acts as the universal energy currency. One of the most potent bio-actives that significantly increase cellular ATP contents is carnitine tartrate. Statistical evaluation demonstrated a significant increase in ATP equivalents in human hair roots treated with carnitine tartrate, showing that carnitine tartrate is an ideal ingredient for hair care formulations, providing energy for the optimal environment to produce strong and healthy hair. Throughout the test period ATP content within plucked hair follicles was determined twice daily using a commercially available test kit. Statistical evaluation of baseline adjusted values demonstrated a significant increase in ATP equivalents in human hair roots treated with carnitine tartrate. These effects were absent in the placebo group thus underlining the stimulating activity of carnitine tartrate. The outstanding bio-activity of carnitine tartrate was furthermore demonstrated in a second study assessing the effects after a single application of a shampoo formulation supplemented with carnitine tartrate. Again ATP levels in plucked human hair follicles were significantly increased. They conclude that carnitine tartrate is an ideal ingredient for hair care formulations, providing energy for the optimal environment to produce strong and healthy hair. Copper Peptides have two main properties: (1) potent tissue protective anti-inflammatory agents that limit oxidative damage after tissue injury and (2) tissue remodeling activation agents that is, the processes for removal of damaged protein and scar tissue and their replacement by normal tissue. Studies at numerous universities and research institutes have found copper-peptides to improve hair transplant success and increase hair follicle size stimulate hair growth and reduce hair loss. Research scientists at the University of San Francisco Wound Center may have stumbled onto the answer to hair loss: something that has frustrated mankind for centuries. Their discovery was made while applying a synthetically formulated compound, Copper Peptide, to severe wound areas on several patients. During this process something unusual happened. Not only did the wounds heal about 30 percent faster, but a significant stimulation of the follicular cells occurred. As a side effect these tripeptide complexes actually grew hair around the wound area. The discovery was so startling that they then applied the same Copper Peptide complex to a female patient who had suffered roughly 90 percent alopecia (hair loss) for years. After about six months of use she had recovered almost 100 percent of her hair. Dr. Loren Pickart the leading authority in Copper Peptide technology describes it as being like a protein injection to the scalp. Tests were then conducted with chemotherapy patients and recent hair transplant recipients all with great success in stimulating newer and stronger hair follicles. The implications of such a startling discovery have gotten the attention of several large companies. Sulphur is present in protein-rich foods containing high levels of the amino acids methionine and cysteine. These foods include meat, fish, legumes, nuts, eggs, and vegetables especially onions. However sulphur has recently become a popular nutritional supplement and topical treatment thanks to the discovery of methylsulfonylmethane, or MSM. The use of MSM as a nutritional supplement and topical application is relatively recent. An American chemist named Robert Herschler began studying MSM in 1955. However another man Dr. Stanley Jacob with Oregon Health Sciences University in Portland is considered by many to be the father of MSM. Dr. Jacob found that simple marine life like algae and plankton convert inorganic sulphur to organic sulphur compounds. These compounds are known as dimethylsulfonium salts. These salts are transformed into dimethyl sulfide (DMS), which is released into the atmosphere and is converted by ultraviolet light into dimethyl sulfoxide (DMSO). When DMSO oxidizes, it turns into MSM and is absorbed by plants that become food for animals and humans. MSM is a white, crystalline powder that is odorless and nearly tasteless. When taken as a dietary supplement, MSM proved to have the same health benefits as DMSO without side-effects such as bad breath, itchy skin, nasal congestion, and shortness of breath. Why does MSM help with the development of longer and stronger hair? Various scientific studies have proven that MSM contributes a definite normalizing effect on body functions. The sulfur normally provided to the body by MSM is required for healthy collagen and keratin which are essential for healthy hair, skin and nails. MSM also has proven antioxidant benefits which can disrupt or alter damaging chain reactions of lipid peroxidation in the cell membranes. MSM has been widely used as a dietary supplement without any reports of allergy or intolerance related to its use. Supplements of MSM are comfortably assimilated without side effects. There are no known contraindications. The sulfur normally provided to the body by MSM is required for healthy collagen and keratin which are essential for healthy hair, skin and nails. Healthy hair is stronger hair and hair that can achieve its natural genetic growth patterns. Rooibos or Red Bush Tea is a hardy shrub indigenous to the North Western Cape of South Africa it is an exciting new botanical ingredient with potent antioxidant and anti-inflammatory properties, well documented in the literature. Clinically Rooibos is often prescribed for nervous tension, allergies, stomach and digestive problems. However the results from an independent study also showed a significant improvement in hair growth. Studies were initiated at an independent laboratory (Dermascan in France) to study the effect of the use of Rooibos in a hair lotion on a group of healthy persons who were suffering from the problem of hair loss. A 90 day trial was conducted comparing a hair lotion containing 10% Rooibos with a placebo lotion. 5 ml of the alcoholic solutions were applied daily. After 90 days results showed a significant increase of the hair growth speed in the lotion containing Rooibos compared with the placebo. An increase in the hair growth speed was observed with 89% of the volunteers with no undesirable reactions (irritation or allergy). The participants were next asked to fill in a questionnaire. When the results were tallied 67 percent rated their hair loss as zero or low, 78 percent saw a low to medium improvement, 45 percent saw a low to medium regrowth of hair and 63 percent considered their hair had become smoother and more shiny. Conclusion: results show that most of the volunteers had a remarkable improvement in both the increase of the speed of hair growth, the decrease in hair loss and an overall improvement in hair condition. Menthol is an active ingredient that is often included in hair products and other cosmetic preparations for its cooling and scalp-stimulating effects. Mentholated hair shampoos, ointments and creams like most medicated hair products, are formulated to soothe and treat conditions of the scalp. Menthol is a clear or white organic compound that is derived from peppermint oil. It creates a cooling effect by penetrating the skin and stimulating the skin’s nerve endings. Mentholated products increase blood flow to the skin. Increasing blood flow to the scalp skin encourages healthier hair growth. Menthol is used in hair products to alleviate common scalp problems like itching, dryness, and tightness associated with scalp conditions like psoriasis. Menthol is often included in hair preparations to help reduce scalp oiliness from excess sebum production. Sebum is the oil that is naturally produced by the skin. This is probably the best known natural DHT blocker. Studies have shown that saw palmetto is an effective anti-androgen. It acts in a similar way that Propecia does. Firstly it lowers levels of DHT in the body by blocking 5-alpha-reductase. Secondly Saw Palmetto block receptor sites on cell membranes required for cells to absorb DHT. Studies have been performed on the use of Saw palmetto in the treatment of benign prostatic disease which similarly to androgenetic alopecia also depends on the production of dihydrotestosterone. All of the studies that have been performed to date show that Saw palmetto is an effective anti-androgen and has shown conclusively to be effective in the treatment of benign prostatic disease. One may assume from this that since Saw palmetto is an effective anti-androgen and is used in the treatment of prostatic disease then it may also be effective in the treatment of androgenetic alopecia. Saw palmetto is a potent herbal DHT blocker. The vast majority of people taking Saw palmetto have no apparent adverse side effects. It is tolerated very well and this has been confirmed during clinical investigations using Saw palmetto to treat begign prostate hyperplasia. Minor side effects can include stomach irritation and feelings of indigestion. In part, these side effects can be avoided by not taking Saw palmetto on an empty stomach. Saw Palmetto is traditional topical herbal medicine used to help improve skin and scalp conditions and maintain healthy skin and hair and reverse hair loss. It was used by American Indians as hair, scalp and skin care. It is said to revitalize mature skin to bring olive shine to the skin to help revive hair follicles and improve hair strength, body and shine and make scalp less sensitive to stress and irritation. More recently Saw Palmetto received recognition in the areas of men’s health and women’s health both as preventative remedy and as safe and effective treatment to reverse development of certain pathological conditions and combat alopecia. Scientific research confirms that majority of Saw Palmetto bioactive ingredients are of lipophilic nature and therefore are extracted into the oil and well assimilated by the skin. These observations suggest that when applied topically the active ingredients of Saw Palmetto may be more bio available and therefore provide more effective treatment for particular body areas and organs. Have been demonstrated to inhibit DHT formation through the inhibitory effect on 5-alpha-reductase activity. Inhibition of DHT formation is also known to be beneficial for hair growth if you are experiencing age related hair loss. Pumpkin seed oil breaks down DHT via the liver. Differentiation – the capacity to differentiate into other cell types in skin different types of stem cells have been found. 1. Use of plant stem cells to protect Hair follicle stem cells. The components of Malus domestica stem cells are rich in epigenetic factors relevant to protect and maintain the function of hair follicle stem cells. 2. Use of plant metabolites to delay senescence. The active ingredients of Malus domestica var. Uttwiler Spätlauber cells contain metabolites which insure longevity of the hair follicles. With age, the activity of hair follicle cells is reduced due to mitochondrial DNA damage. With age, the activity of melanocytes is reduced and results in grey hair. Hair follicles have very high rates of metabolic activity. However, studies of aged follicles often find inadequate capillary circulation directly to the follicle suggesting that the resultant lack of nutrient flow may be a contributory factor in the thinning of hair with age. The molecule acts on the smooth muscles surrounding the micro capillaries of the skin causing them to relax and open. By increasing microcirculation in the scalp and enhanced oxygen and nutrient delivery to the root of the hair is able to occur. Damaged and weakened hair can be improved by enhancing microcirculation in the scalp and follicle. 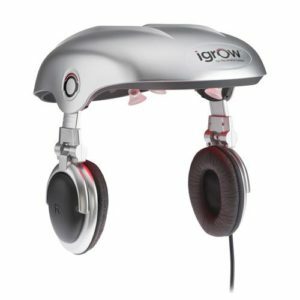 Microcirculation and Penetration Complex is specifically designed to promote blood flow on the scalp. Microcirculation and Penetration Complex can be easily incorporated into shampoos and conditioners or treatment products to promote healthier hair growth and protection. Once blended, the extracts are concentrated by vacuum distillation until a specified concentration of actives is achieved. The product is then filtered to eliminate any particulate matter. Since Multi fruit is a natural product it will contain a wide variety of residual natural substances such as cellulose, carbohydrates, proteins, water soluble vitamins and minerals. The debate over natural versus synthetic AHAs has raged for several years. With the advent of Multi fruit it seems that we have combined natural purity with excellent activity. While AHAs have a potential to be irritating to skin, they also effectively stimulate cell renewal. The Therapeutic Index of AHAs shows the ratio of stimulation to irritation. The graph below shows that the activity of Multi fruit surpasses the activity of the synthetic lactic and glycolic acids. In Multi fruit has maximized the ability to stimulate cell renewal, while minimizing the potential for irritation. Hair, like skin, is prone to both genetically programmed chronological aging as well as extrinsic aging. The overall appearance of healthy, youthful looking hair results from not just the hair itself but also the condition of a person’s scalp. Multi fruit addresses many of the aspects of aging hair and scalp and has demonstrated efficacy in as little as 5 days. 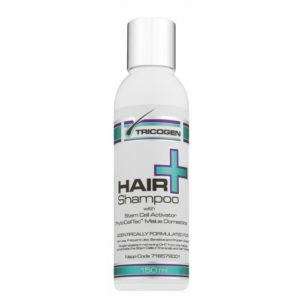 The combination of alpha hydroxy acids promoting cell renewal on the scalp; keeping follicles clear and open allows for healthier hair growth. As shown by the SEM photomicrographs of the hair lost from the test formulation compared to the control, keeping follicles open for growth results in larger hair roots. On a cellular level, the follicles are energized by trimethylglycine while a naturally derived peptide enhances the anchoring function of the follicle. Together with the protective qualities from the antioxidants present in Multi fruit a smoother feeling and stronger hair will be achieved.